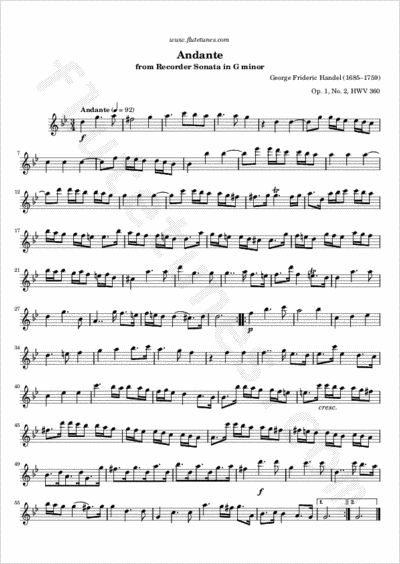 Here is the second movement of Handel's Sonata in G minor for Recorder. After the slow opening Larghetto, which we posted last week, this Andante picks up the pace a bit. Although in a different form, its melody also appears in the solo “Vouchsafe, o Lord” in Handel's Te Deum in A.